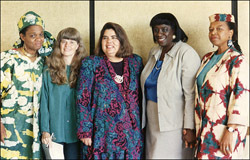 RDLN holds National Network Assemblies approximately every other year. 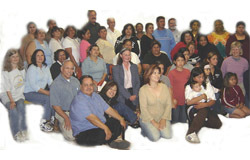 At these Assemblies each participant's circle of peers continues to expand, having started with the small group with whom s/he shared the experience of the Rural Development Insitute at the University of California at Davis. 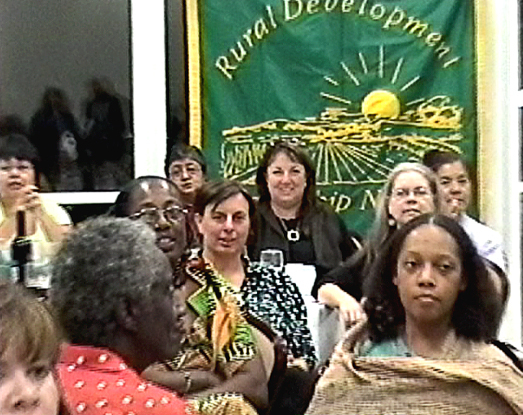 Assemblies are hosted by RDLN Leaders&apos; organizations in rural areas. 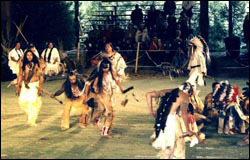 Attendees visit local projects and share local culture. Each Assembly includes workshops, a Circle of Sharing, Network Planning, and a graduation ceremony for those who have completed the program. "Fannie Lou Hamer: &apos;This Little Light&apos;"
Created and performed by Billie Jean Young, J.D. on the 100th anniversary of Ms. Hamer&apos;s birth. 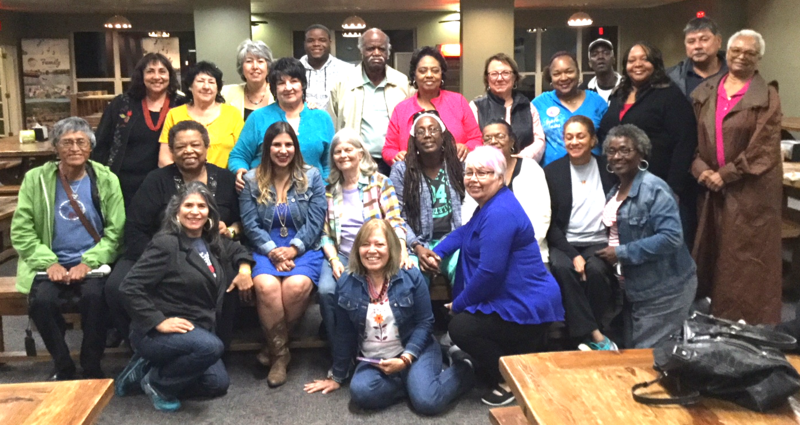 Sessions on Farmworkers, Fracking, Civic Engagement, Organizing, Civil Rights, Cooperative Development, Cultural Tourism, Food & Health, Immigration. .
Network Sharing, Celebration, and Information. Workshops on Credit Unions, Housing, and Entrepreneurship. 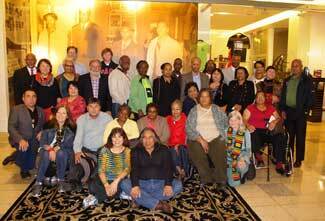 Visits with Louisiana groups affected by the Katrina and oil spill disasters. Network fundraising. Closing speech by RDLN graduate Shirley Sherrod. Co-sponsored by the Federation of Southern Cooperatives and the Housing Assistance Council. RDLN celebrated its Twenty- Fifth Anniversary, held a Rural Roundtable on the World Food Crisis, and the role of U.S. Grassroots Rural Leaders in the food system, visited Flats Mentor Farm, a farmers' market, Equal Exchange and Red Tomato, and reflected, shared, and planned for the future. our host, the Community Councill of Southwest Texas, with a cultural performance in Del Rio, a computer class at the junior college in Uvalde, and a dinner in Mexico. Members of RDLN's new Rural Women's Product Development & Marketing Venture were present. 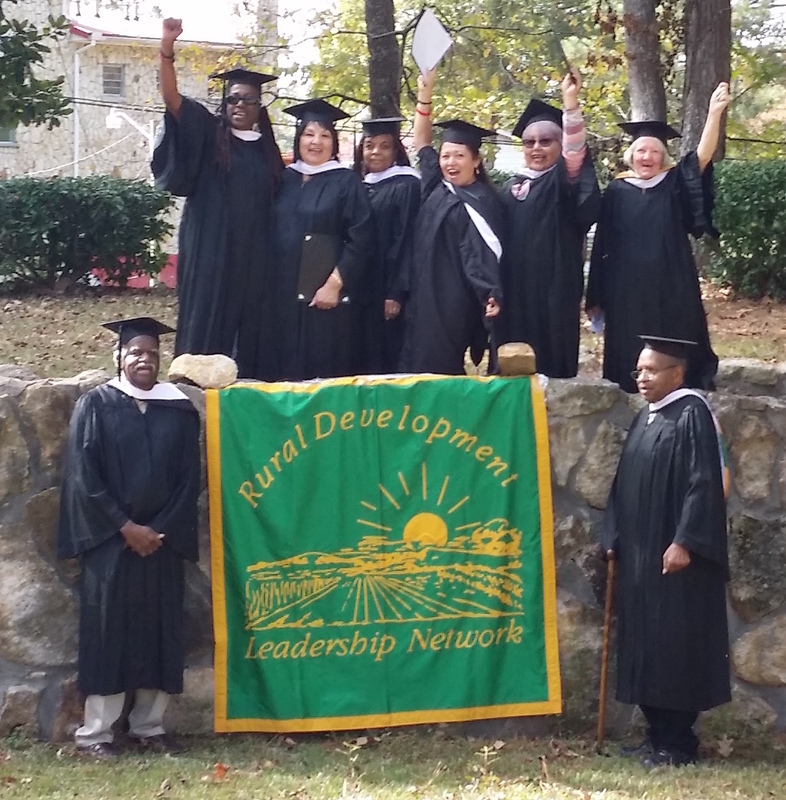 Graduation speakers were Moises Loza, Chair of RDLN's Board of Directors and Billie Jean Young, former Chairwoman. After our trip to Beijing, RDLN held an Assembly in Taos. Among the activities were a Report from Beijing and planning for the Rural Technical Assistance Network. We visited the Pueblo Indians buffalo project and Taos County Economic Development's business incubator. 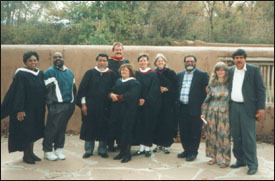 The graduation speaker was Richard Archuletta, of the War Chiefs office at the Taos Pueblo. 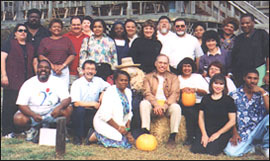 Some attendees came early and visited the sites of the Federation of Southern Cooperatives in Epes, Alabama; Boys, Girls, Adults Community Development Center in Marvell, Arkansas; and housing projects of Voice of Calvary Ministries in Jackson, Mississippi. RDLN had a ceremonial "Challenge to Churches" on the banks of the Arkansas River. We read our Statement on Land (originally composed in 1992) and challenged churches to turn over some of their land to community groups. Our graduation speaker was Bob Nash, Deputy Under Secretary for Rural Development at the U.S. Department of Agriculture. Wilma Mankiller, Principal Chief of the Cherokee Nation, gave the graduation speech.